As marketers, we love promotional items. Whether they're pens, mugs, notepads or foreheads, we'll use the ad space. But we can't just blindly throw money at them — we have to know our investments are going to pay off. So which items are the most popular? 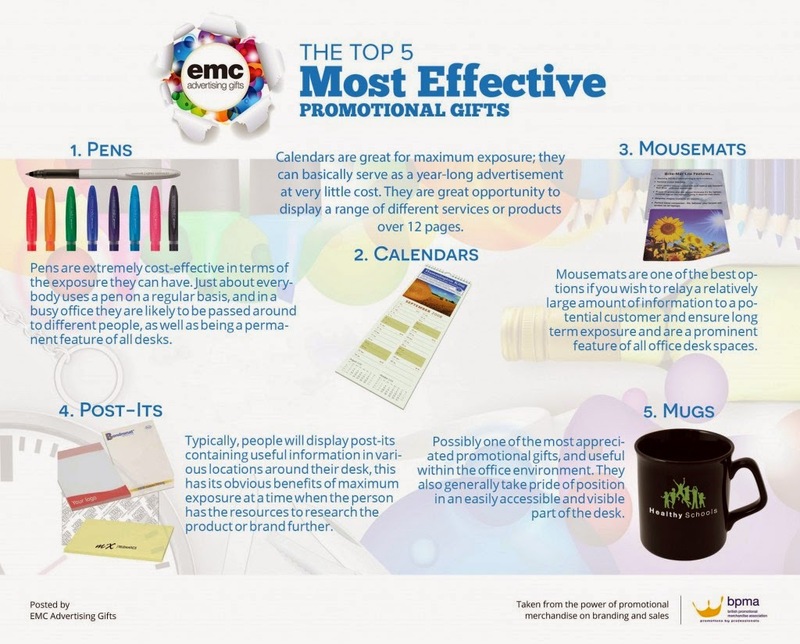 It turns out that the pen is mightier than the mug, according to Executive Marketing Consultants (EMC). Pens are the most cost effective promo items and have the biggest reach. Check out this infographic to see the other four winners. Pens might work best broadly speaking, but how can you be sure that they're the most effective promotional gift for your business? By using toll-free numbers (TFNs), of course! By placing a unique TFN on each promotional item, you can track which ones generate the most leads. This information can help in the following three ways. By placing TFNs on each item, you'll be able to figure out what compelled a lead to call you. Items that don't generate calls can be cut out of the lineup or given less ephasis, which will ultimately free up space in the budget for items that capture your audience's attention. TFNs can also be used in other marketing activities such as advertisements or contests. This will let you compare the cost-per-lead between promotional items and other forms of marketing. Again, this will help you figure out where to allocate your budget to get the most ROI. Don't just guess that pens are most effective for your business because a few people mentioned how much they liked them. Take facts and numbers to your boss to prove ROI. TFNs give you monetary proof over the entire lifespan of a promotional item, so you'll be able to track how well an item performs as long as you use it. Once performance starts to drop, it might be time to reevaluate those psychedelic koozies. Which promotional item is most popular with your customers? Let us know in the comments below!